Hand eye co-ordination is vital in everyday life, but as yet it is not a skill that robots have mastered. Existing so-called 'machine vision' systems still rely on factors such as precise positioning, consistent backgrounds and calibrated images to work. Help is on the way, however, with the development of new software by the Computer Vision and Robotics group. Tom Drummond and Roberto Cipolla are working on a project to build machines that can truly see and adapt to random events and positioning, using a video camera to guide a robot. "The work is currently aimed at producing automated welding systems for the ship building industry." Tom explains "It is not easy to position the parts of a ship that need to welded with any accuracy in front of a robot. These components typically weigh 500 tonnes, and measure 20x30m. For a robot to weld such an assembly automatically, it needs to be able to see the positions of the seams accurately, even if the component is at a slight tilt, or has been displaced from the ideal position. A few millimetres displacement can mean that a seam is missed." The group are tackling this project using a three dimensional model tracking system. 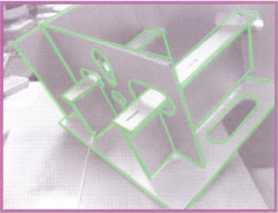 A CAD model of the component to be welded can be stored in a computer. By looking at the differences between the CAD model and the video image captured by a camera mounted on the end of a robot arm, then appropriate compensation can be made, lining the two images up to ascertain the actual position of the component. Movements of the object being welded can be tracked, frame by frame, and the robot can compensate for any displacement of the component in real time. 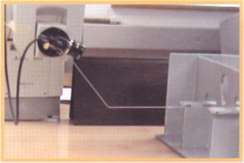 Using this system, the robot can track its required route, even if the object is placed randomly in front of an uncalibrated camera. Real time tracking of complex 3D structures. This technology can be applied to other manufacturing and assembly operations. Potential applications range from cake decoration to surgery and will perhaps lead to the fulfilment of that dream of a robotic home butler!